Sometimes it may be necessary that you will classify the values into a group. For example, if you have a file that lists ages of people, you might want to classify them into groups such as 17 or younger, 18–24, 25–34, and so on. In this example, we have used absolute cell reference with a $ sign before cell references. Then copy the formula for the cells below. You will get your result like the following image. 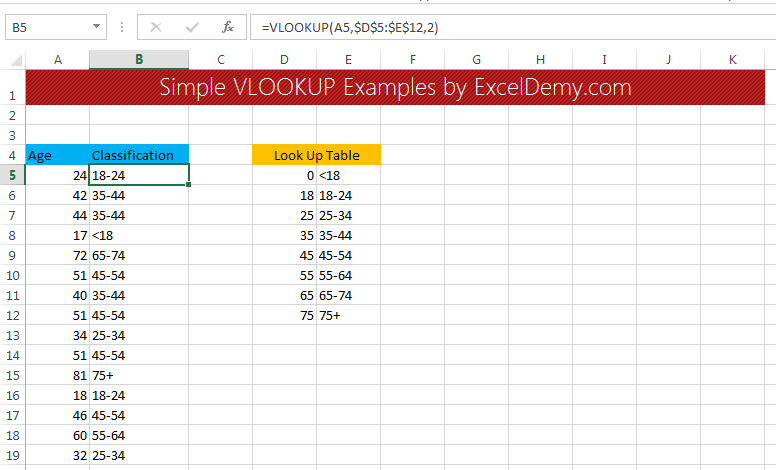 Using a look-up table to classify ages into age ranges.